Please join New England Home Connecticut and the team at Gault Stone in Westport on Wednesday, April 24 to celebrate the launch of our Spring 2019 issue. Enjoy delicious small plates and cocktails, network with industry professionals, and wander the stunning showroom! More than 50 international artists, reflecting five continents, will take an expansive look at identity and art in a global world in browngrotta arts’ 2019 Art in the Barn exhibition, Art + Identity: an international view. The identity that each explores may be personal, political, social or cultural; it may reflect the influence of a hometown, country of birth or adoption, a place visited, or a region whose art has made an impression, an artistic or scientific movement or a broader focus on the effects globalization. Works by artists from, or influenced by, North America, South America, Europe, Asia, Africa and the UK will create an intriguing dialogue about the influence of culture, geography and personal experience and spur questions about the universality of art. 💙 First 10 New Canaan or Darien Moms to arrive will receive a certificate for a COMPLIMENTARY BLOWOUT! 💙Botox specials: $12 per unit, and Fillers $600 with Haejean their registered aesthetic nurse. 💙🍷and 🧀 will be served along with GIVEAWAYS all night! Whoever said that art and commerce don’t mix was clearly mistaken. Since 1998 Art to the Avenue had been doing just that. Each May, with the overwhelming support of the Greenwich business community, the Arts Council turns Greenwich Avenue into a strolling gallery. One of the largest and most exciting festivals ever organized, the Opening is set for Thursday, May 2, from 5:30 - 8pm. The evening launches a truly spectacular show. Musicians and street performers fill the street entertaining strollers. Most stores host receptions for the hundreds of visitors who attend to preview the work of over 120 artists. The art selected by the retailers remains in place through Memorial Day, so there is ample time for viewers to experience the “gallery” that downtown Greenwich becomes. A complete Map/Guide is published listing all participants, so that individual shops, artists and locations are easy to locate. Join us for a glass of wine and an artistic demonstration by American artist J. Fatse 4-6 pm April 13 as he creates a unique poly-resin pictures at the Westport River Gallery. ✨KITCHEN DESIGN: ASK THE EXPERTS✨ Are you planning to remodel your kitchen? 🙋‍♀️ This is an event you do not want to miss! Grab your friends and join DEANE Inc. for a complimentary seminar on kitchen design. There will be a panel discussion with Q&A and afterwards you may explore the showroom and ask the design team any questions. Lite bites and drinks will be provided courtesy of Culinary Works. 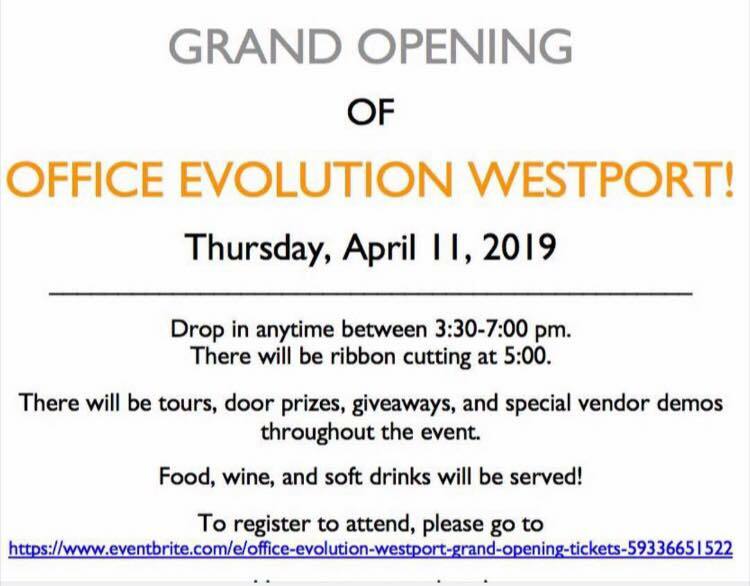 Come join the celebration as we officially open the doors of our new Office Evolution Westport location! Mingle, network, and tour the 36 offices, 2 conference rooms, coworking lounge and other professional spaces built to maximize your productivity. Learn about how Office Evolution can help your small business grow! There will be great door prizes & giveaways as well as food and drink, so please register here and stop by anytime during our open house hours 3:30-7:00 pm with ribbon cutting at 5:00 pm. All are welcome. See you then! In addition they will top off this unprecedented experience by providing some hors d’oeuvres provided by @Cinch in Fairfield. As always I ask that you bring your favorite beverage and appetizer for sharing. The highlight will be the ability to hear about the celebratory CT Challenge bike ride taking place this July that powers the whole thing. #LiveLifeVibrantly. As always, I ask that you bring your favorite beverage and appetizer and encourage you to bring and invite friends to share in the fun! month. Please check out our website at www.womenforwomenct.com and our group Facebook page Women for Women. Mark your calendar for future dates on the first Monday of every Month: April 8 as an exception because I will be on vacation on April 1, May 6 indoors and then June 3, July 1, August 5 back on Pine Creek Beach. If you would like to host a future Women for Women, please email me. We are so blessed to have the many invitations I receive to host us. Thank you! Many thanks to ALL for your continued love and support!!! Please forward this email to any other women you think would like to attend. If you would like to be removed from receiving this email moving forward please advise. I apologize for the inconvenience. Please feel free to invite and bring other fabulous women to experience what promises to be an unprecedented evening of meeting, sharing and navigating. The Metropolitan Museum Of Art, NYC. PAPER 2019 features pieces by artists working in paper broadly considered. Artists included in the exhibition, were chosen from over 400 submissions from almost every state in the U.S. giving the exhibition a national perspective. The aim of the exhibition is to highlight the vitality, diversity, sense of experimentation and skillful execution and the many ways in which contemporary artists approach this material. Viewers will find a wide range of affordable works made on or with paper, including sculpture and installations along with the traditional disciplines of drawing, painting, and photography. Celebrating pottery for the ”furry members” of our family with handmade dog and cat bowls. Pots for Pets is a national invitational of utilitarian works made for the “furry members” of our family. Our pets deserve the loving kindness of handmade pottery, so this exhibition will feature dog and cat bowls, bird fountains, princess perches and other objects of our pet-friendly imaginations by 50 ceramic artists. Clay Art Center is happy to partner with Adopt-a-Dog, whose mission is to save, socialize and secure loving homes for unwanted or abandoned dogs while creating a community, in a non-kill shelter, where there is a home for every dog. 10% of all gallery sales from the exhibit go to Adopt-a-Dog. For the closing of Pots for Pets, Clay Art Center will host an Adopt-a-Pet day with Adopt-a-Dog for our biannual Spring Fest event. Spectrum is a juried exhibition of original, contemporary artwork, juried by Blair Clarke and Sarah Tortorich of the Voltz Clarke Gallery. The theme is "Ditto" and will showcase multiples – a pair, diptych, triptych or group of pieces that relate to each other. Selected works will highlight the juxtaposition, contrast, comparison, expansion, connection and separation between the pieces. Jurors will be looking for submissions of two or more pieces that make statements that are both subtle and obvious, complementary and conflicting. ALL DAY EVENT! ALL EDGE LOCATIONS! Come join us for our open house and experience the BEST. GYM. EVER. Materialized over multiple residencies, Kate’s project tells the story of loss surrounding the devastation her ancestors endured during the creation of the Ashokan Reservoir. This exhibition illustrates a complete body of work which includes written text, a handmade artist’s book, and audio files narrating both sides of the story from her family - the settlers and the immigrants. It's the best St. Patty's Day Party in Fairfield and it's FREE! Come celebrate at FTC with Green Eyed Lady and the legendary Highland Rovers Band! We'll have Guinness on draft, free swag, great music, tons of fun. Come early, the Warehouse will fill up fast! 21 and over. Please bring your photo ID. The Greenwich Art Society proudly presents its 102nd Annual Members Bendheim Exhibition, at the Bendheim Gallery. The show takes place from March 8, 2019 thru April 4, 2019. The public reception will be held on Friday, March 15 from 6:30pm-8pm. Join us for a free community event featuring a keynote address by James Forman, Jr., winner of the 2018 Pulitzer Prize for Non-Fiction for Locking Up Our Own: Crime and Punishment in Black America, with performances by Norwalk's Serendipity Chorale and students from Regional Center for the Arts in Trumbull. Advance registration for this popular community event is encouraged. By phone at (203) 227-4177 or by email at rsvp@westportplayhouse.org. Prior registrations for the January 20 event will not be transferred. The program will run approximately 90 minutes. A moderated audience Q&A will follow Mr. Forman's address, and a reception and book signing will take place in the Playhouse lobby after the program. Childcare and activities will be provided by the Westport/Weston Family YMCA in the Lucille Lortel White Barn, Sheffer Studio, adjacent to the theater. Registration is required to take advantage of this offer for children ages 12 and under by calling the Playhouse box office at (203) 227-4177. Co-sponsored by the Westport/Weston Interfaith Clergy, The Westport Library, Westport Country Playhouse, the Westport/Weston Interfaith Council, and Team Westport. 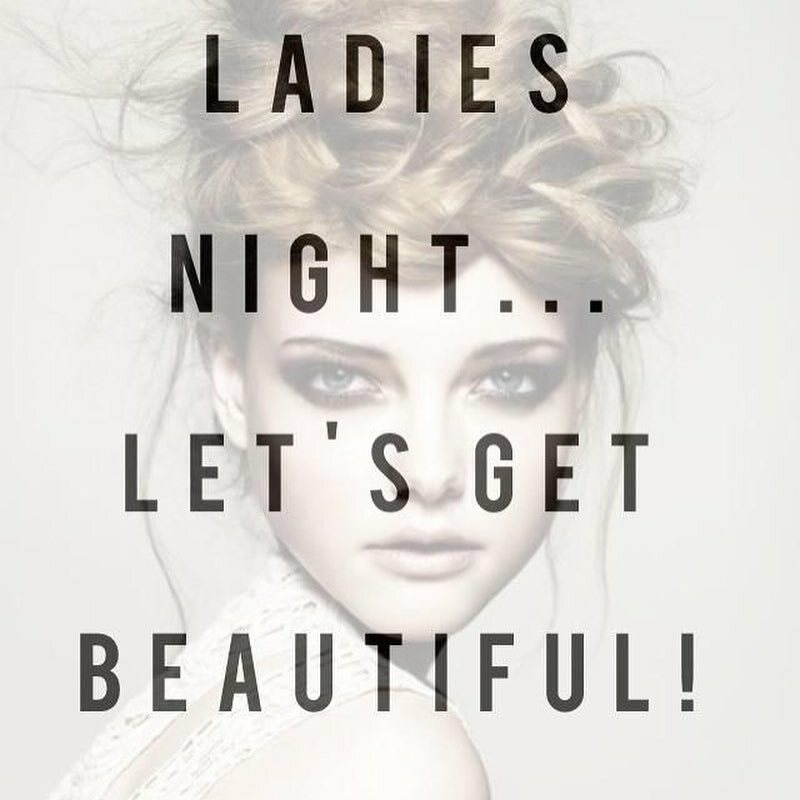 Need an excuse to go out on a date night or encouragement to meet new people? We’ve got the perfect event! Enjoy complimentary wine, refreshments, and a first look at our March exhibit, featuring large-scale portrait paintings by Sergey Stepanenko. The event is FREE and open to the public. Sergey Stepanenko was born in Barnaul, Russia in 1956. He graduated from Fine Art College in Frunze, Kyrgyzstan, receiving a Bachelors in Fine Art degree. He then attended Moscow Printing University, where he received a six-year Masters degree in book design. Sergey has been an active artist since the 1970s, working in many art forms. He now focuses on painting, influenced by the traditions of 20th Century Russian Art and Pablo Picasso. Sergey moved to United States in 1995. Moving to a foreign country had its challenges, but also provided exciting professional opportunities. His art adorns some of the finest homes in the country, including Keith Richards and the Kennedys. Locally, he has exhibited at SONO Galerie in Norwalk, Zorya Fine Art in Greenwich, and SPAG at Oakhill Mansion. He currently works from his studio in Norwalk. Gallery @ Pearl welcomes artist Veronica Hofstetter. Join us for an opening reception on February 27th from 5 to 7pm. Complimentary wine and hors d'oeuvres will be served.